New Service Offering. New Revenue Stream. New Business Value. – IT Pros for Business, Inc.
Do I qualify to be a DOTVOX referral partner? What’s a new revenue stream worth to your company? With zero capital investment and minimal time needed to learn the basics, DOTVOX offers one of the most valuable referral programs on the market. DOTVOX is a highly powerful and affordable business phone system designed for companies of any industry, size, budget, or service need across the United States. Referring business to DOTVOX provides your company with countless opportunities to both gain new customers and ultimately grow your revenue. Once you refer a sale to DOTVOX, you’re off the hook. We’ll handle all the gritty details on the backend, including system implementation, maintenance, and US-based technical support. All you have to do is collect the check. The DOTVOX referral program is as hands-off as it can possibly get. Refer a DOTVOX phone system to your existing client base for some low-hanging fruit or start marketing to new customers and add more value to your business. The sky is the limit. Adding a new service to your current business offerings might seem like a huge undertaking, but we’re here to ensure you it’s not. DOTVOX is with you every step of the way, providing you with everything you need to ensure you (and your clients) stay as successful as possible. Track performance analytics and gain access to our sales, marketing, and technical support resources 24/7/365. 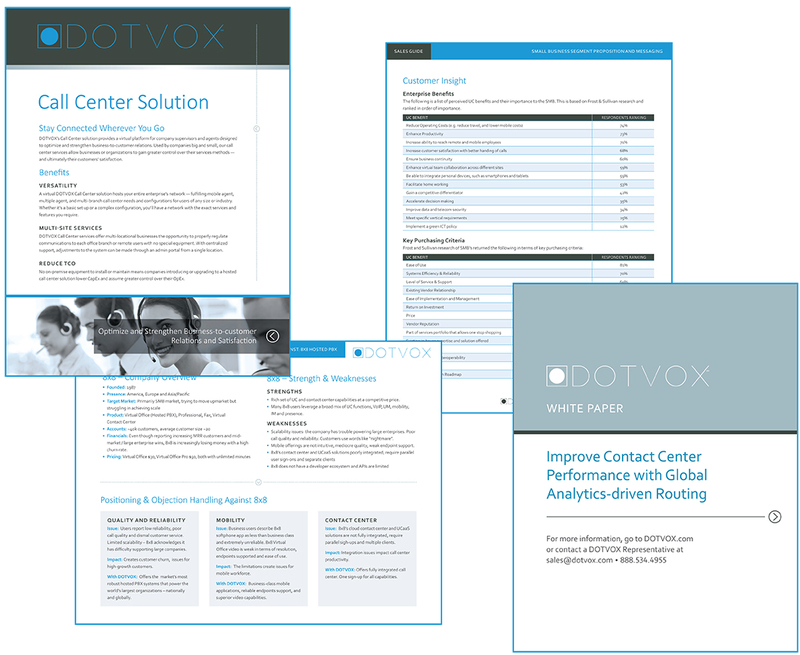 Leverage our library of resources to learn about DOTVOX and market our services to your customer base. A dedicated account manager can assist you with product education, sales training, and everything in between. Rest easy knowing your clients are being taken care of. Day and night, DOTVOX provides friendly and knowledgeable U.S.-based technical support. You have pricing flexibility with our program to make deals happen when price becomes the primary decision point for your customer. No overhead burden for support. Upsell your customers with ease and reap the benefits. Add a new revenue stream to increase your monthly cash flow. The more clients you refer, the more you’re able to earn. Let’s answer your most important question immediately: how much do referral partners earn? Sign up for an introductory meeting with our heads of Sales and Marketing below and see how much you’ll bring in. Preferred date for an introductory call from a DOTVOX representative. Which time of day works best for you to be contacted?